PRICE is in this free catalog here or Please call txt 860 436 7034 for specifics. Shipping/Pickup: at many local warehouses in the united States. It is quick and easy; just call our number we set up the order then you can pickup the same day. 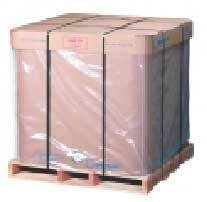 Our 55 gal drums ship for around onehundred thirty and cases are less then twelve dollars. Please call txt 860 436 7034 for specifics. AMSOIL is about no compromises. We provide the best value by extending the life of your machines, decreasing fuel consumption with the lowest friction in the industry. Here are 3 different Hydraulic oils. The AW line is available in 3 weights. The MSDS for the AW hydraulic oil is here. The ATH oil was designed to work for the listed moving equipment. The BHO ( biodegradable hydraulic) was designed where protecting the enviroment was a factor. There is a link to our complete selection of hydraulic oil filters . can read how you choose or call SANTANA call/txt 860 436 7034 anytime. There are tables and graphs lower down on this page if you would like to study them just click them and they will get bigger. .There is a link to a hydraulic trouble shooting guide here. For the best prices please go here. * Except for PM-500 series silver-containing pumps which require R and O additive systems. To install AMSOIL Hydraulic Oil in a hydraulic oil system, drain the existing Hydraulic Oil , change hydraulic oil filters and install AMSOIL Synthetic Tractor Hydraulic Oil . 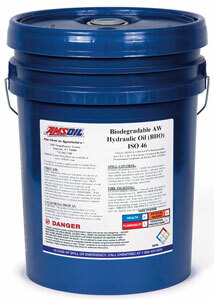 AMSOIL Biodegradable Hydraulic Oil BHO ISO 46 is recommended for stationary and mobile applications using gear, vane and piston hydraulic systems operating under high pressure and temperatures up to 180Â°F. It should also be used where high biodegradability and low aquatic toxicity are desired. Typical applications include construction, logging and farming equipment, lawn and turf care or anywhere leaking, spills or ruptured hydraulic lines may present an environmental hazard.